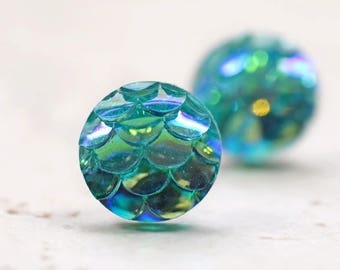 Mermaid tail or dragon scale? 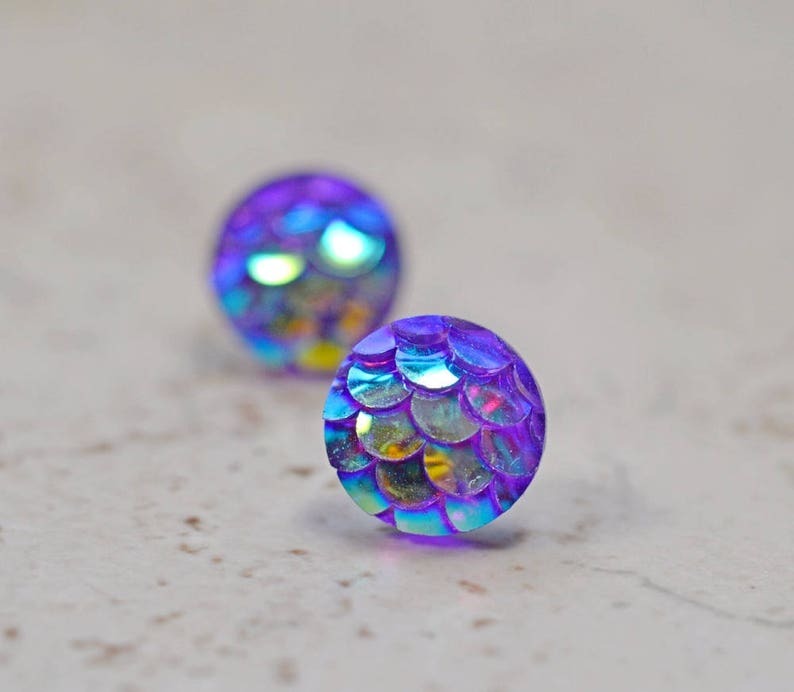 Gorgeous iridescent mermaid tail or dragon scale earrings! Gorgeous amethyst purple with a mystic rainbow finish. I made these using lightweight plastic securely attached to stainless steel. 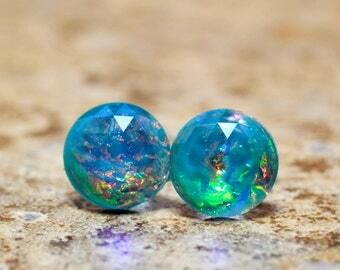 These earrings are 8mm in size, so they are small. Stainless steel post earrings. Love the color and the size! Picture is a great representation of actual product! 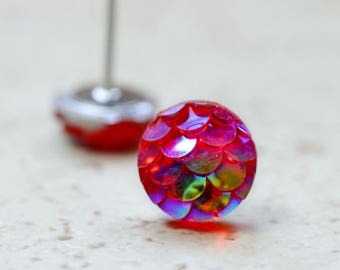 I have purchased quite a few of these earrings from this seller and am very pleased with them!!! These shipped fast and are just adorable!